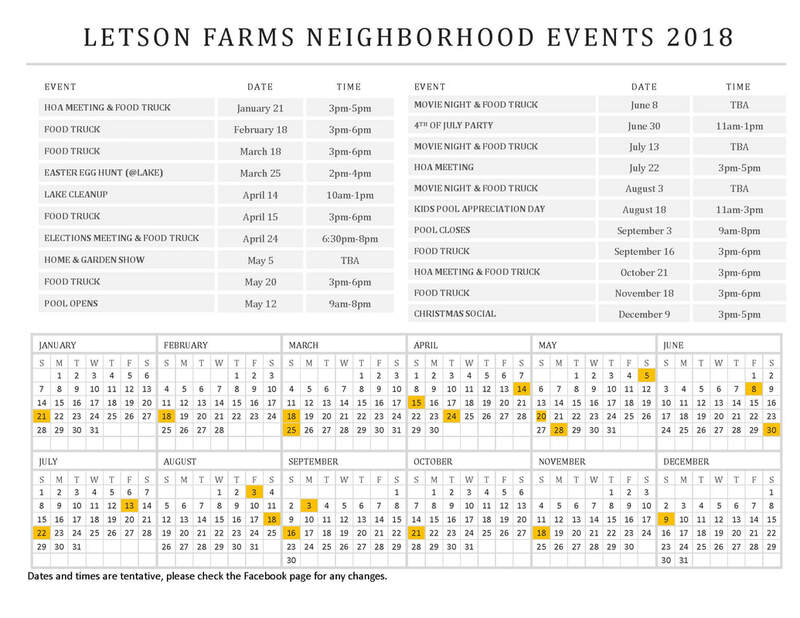 Letson Farms has a great group of volunteers to help us have many family friendly events for our residents throughout the year. If you would like information on helping to volunteer at an upcoming event, contact Devin Lewis. All events are for residents only, unless otherwise specified.